TRAP DESCRIPTION: This is a very large trap measuring 5'L x 5'W x 6'T. 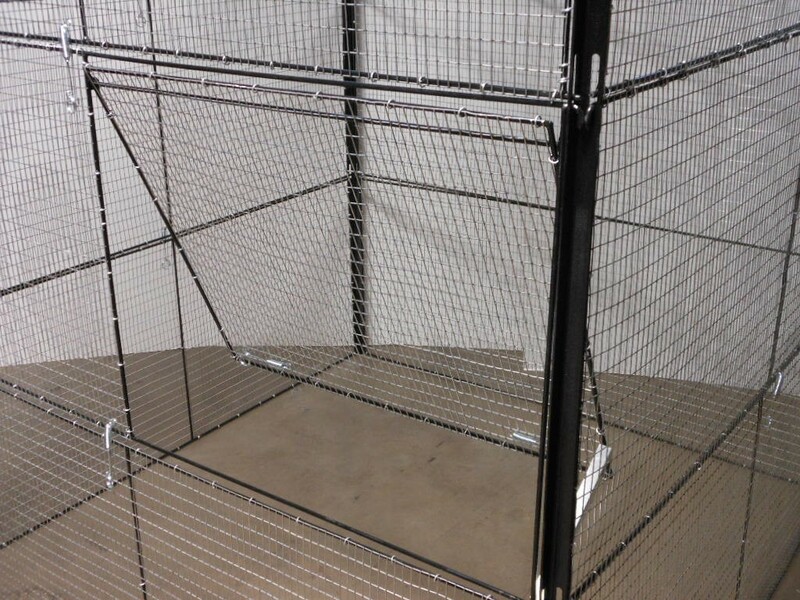 It's easy to assemble and has a walk in door for quick access to trapped bids. Set it out where nuisance sparrows and starlings are collecting. 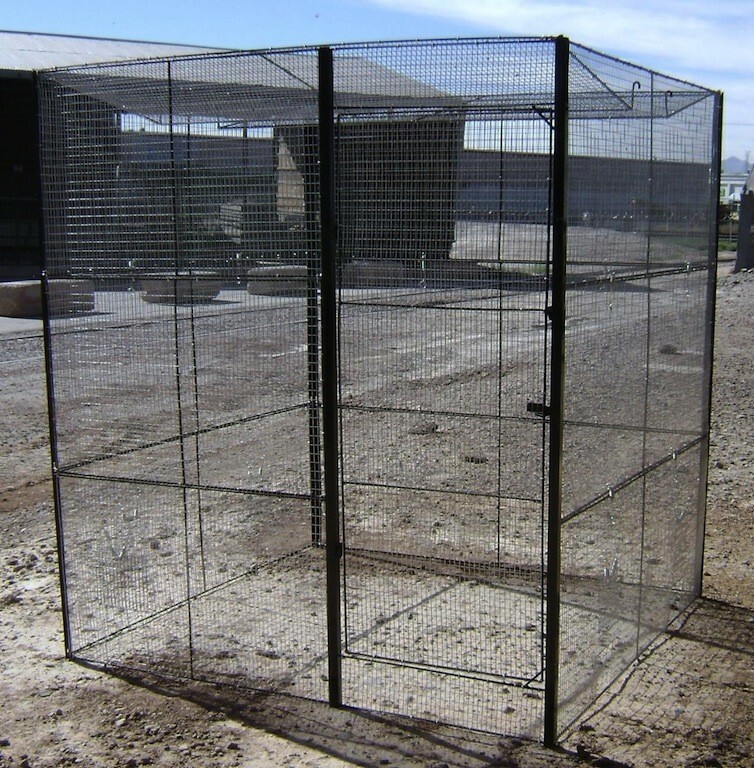 Made with 1/4 steel rod frame, this trap includes 14 panels which hinge together. Its very durable and will last a lifetime. Starlings and sparrows enter through the V-Top and will not be able to exit. This trap can hold 100+ birds no problem. Its suggested that you bait with cracked corn. Don't remove the first few birds you get as these will serve you by attracting more birds to enter. Keep plenty of water and corn inside the trap so trapped birds are fresh and comfortable. 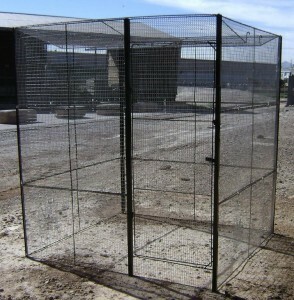 The walk in side door allows for easy removal of trapped birds. Leave it permanently set up to catch nuisance birds continuously. This trap is easy to assemble, never has to be reset or moved and you can even use a lock on the door. SWINGING DOOR DESIGN (less costly): This trap is also designed with a "swinging door" entry instead of the walk in door. This access point is much smaller but is offered to help offset trap cost. Everything else about this model is the same as the walk in model shown above with the only difference being this smaller entryway.